The Level 3 Threat Research Labs, Level 3 Communications' (LVLT) threat intelligence and research arm, unveiled new research about the botnet size and behavior for the malware commonly referred to as Lizkebab, BASHLITE, Torlus or gafgyt, including botnet size and victim stats. Access the comprehensive research here http://blog.level3.com/security/attack-of-things/. 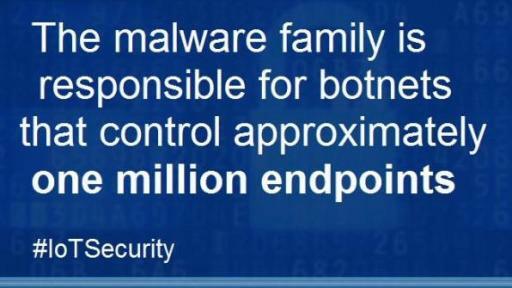 The malware family is responsible for botnets that control approximately one million endpoints. 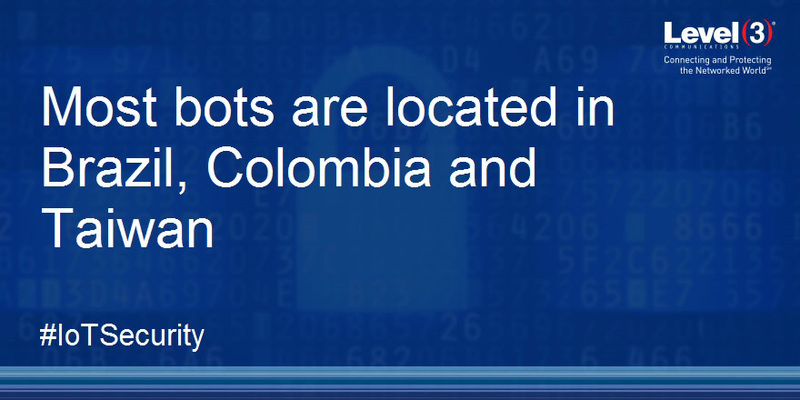 A large percentage of the bots are located in Taiwan, Brazil and Colombia, pointing to the uptick in malicious activity in the region noted by the Threat Research Labs in February 2016. Almost 96 percent of the infected devices were Internet of Things (IoT) items of which 95 percent were cameras and DVRs, roughly 4 percent were home routers and less than 1 percent were compromised Linux servers. The team observed a second behavior of some of the bots. 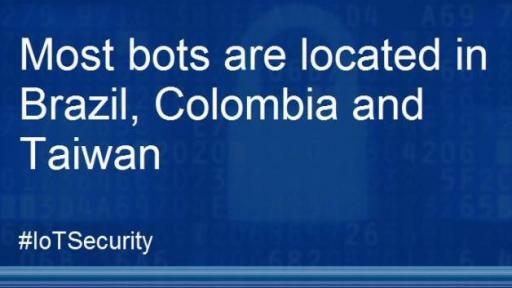 These bots don’t scan for open ports; they wait until they are instructed by the command-and-control (C2) servers before taking any action. 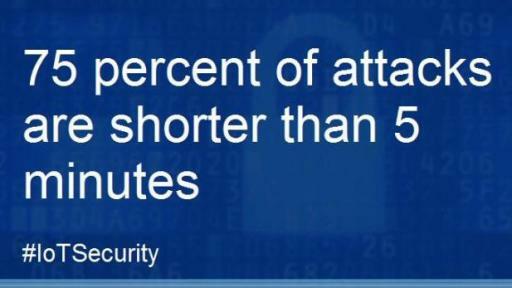 75 percent of attacks are shorter than 5 minutes. Some C2s exceeded 100 attacks a day; median active time for a C2 is around 13 days and often not contiguous. Buyer Beware: A lot of IoT products provided by well-known companies have detailed IoT security instructions. Buy from a trusted source or research and read consumer feedback. Ensure it is encrypted. Passwords: Change the factory setting password to a “pass phrase.” Pick a strong password and use a different one for every IoT device. Updates: Update devices to take advantage of the latest security patches. Level 3 Communications, Inc. (NYSE: LVLT) is a Fortune 500 company that provides local, national and global communications services to enterprise, government and carrier customers. Level 3’s comprehensive portfolio of secure, managed solutions includes fiber and infrastructure solutions; IP-based voice and data communications; wide-area Ethernet services; video and content distribution; data center and cloud-based solutions. Level 3 serves customers in more than 500 markets in over 60 countries across a global services platform anchored by owned fiber networks on three continents and connected by extensive undersea facilities.